Ships today if you order in the next 1 hours 51 minutes. Auto Ship & Earn + 126 Points What's this? Bromelain is an important enzyme that's found in large quantities in pineapple. It provides a number of health benefits, including helping to address swollen and irritated tissues and joints. If pineapple isn't your thing, you can also get bromelain in different supplement forms. 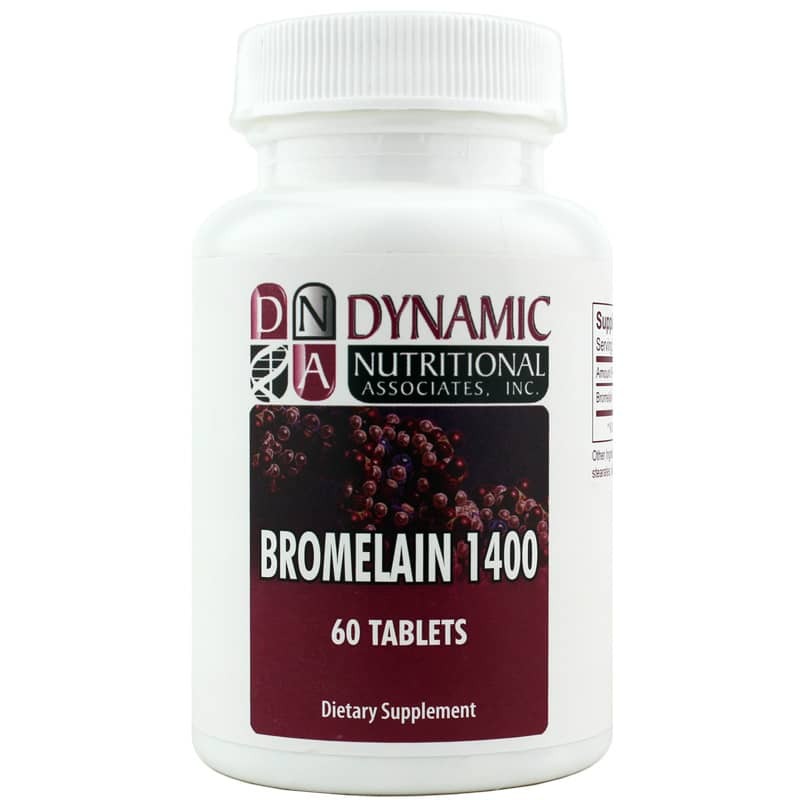 Dynamic Nutritional's Bromelain 1400 is a dietary supplement that provides you with 250mg of bromelain in each tablet to help address swelling and improve your overall health. 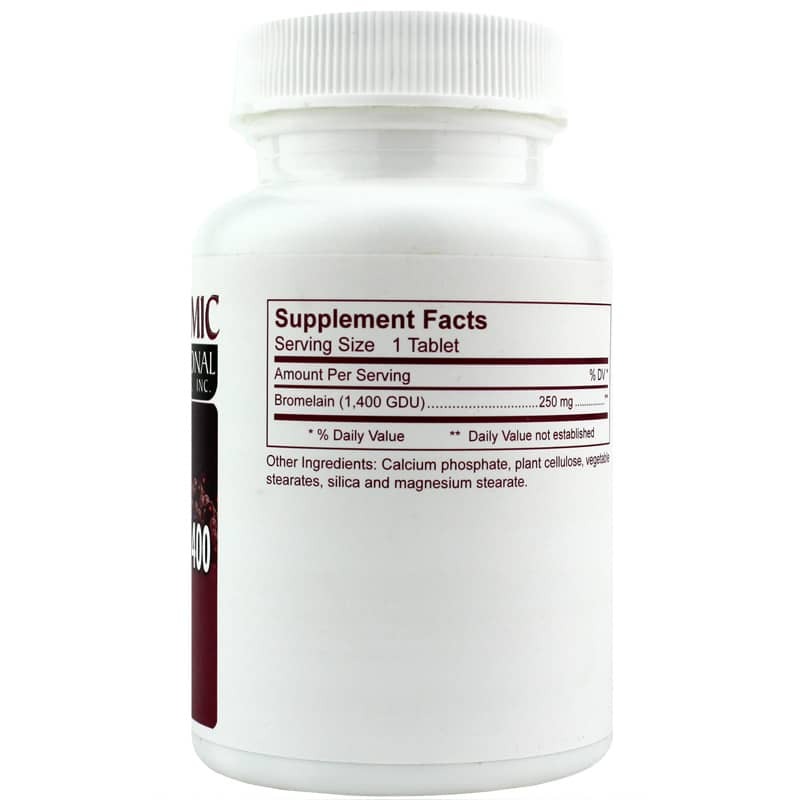 Start reaping the many benefits of this amazing enzyme today. 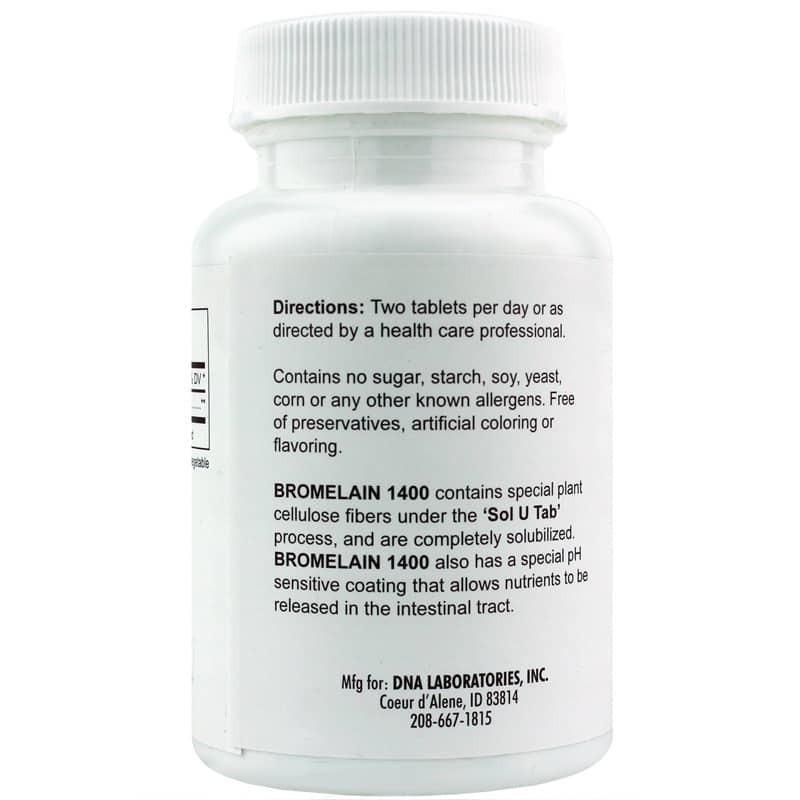 Choose Bromelain from Dynamic Nutritional, and see the difference it may be able to make for you. Order now! Calcium phosphate, plant cellulose, vegetable stearates, acacia and magnesium stearate. Contains NO: sugar, starch, soy, yeast, corn, preservatives, artificial coloring, artificial flavoring or other known allergens. Adults: Two tablets per day or as directed by your healthcare practitioner.